Always wanted to get a tattoo, but worried it wasn’t the right look for you? A white tattoo might be for you. 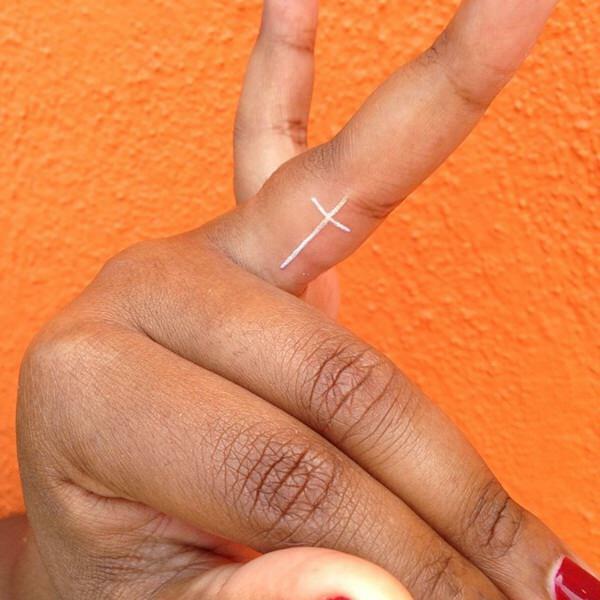 From hippies to minimalists, we found a range of tats with white ink that look totally creative and versatile. 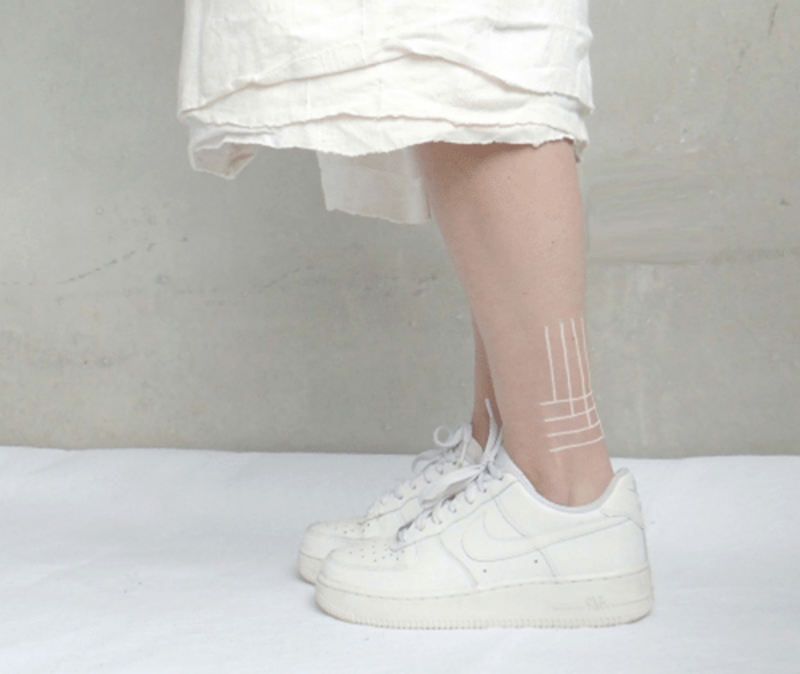 We love this geometric design on the ankle – the structure of the lines is distinct but innovative and easily covered up by a tall ankle boot, or shown off edgily with a low sneaker. This looks amazing if you always have a tan, and you basically never have to wear jewelry again because the detailing is so impressive. We also love the symmetrical cuff detail. 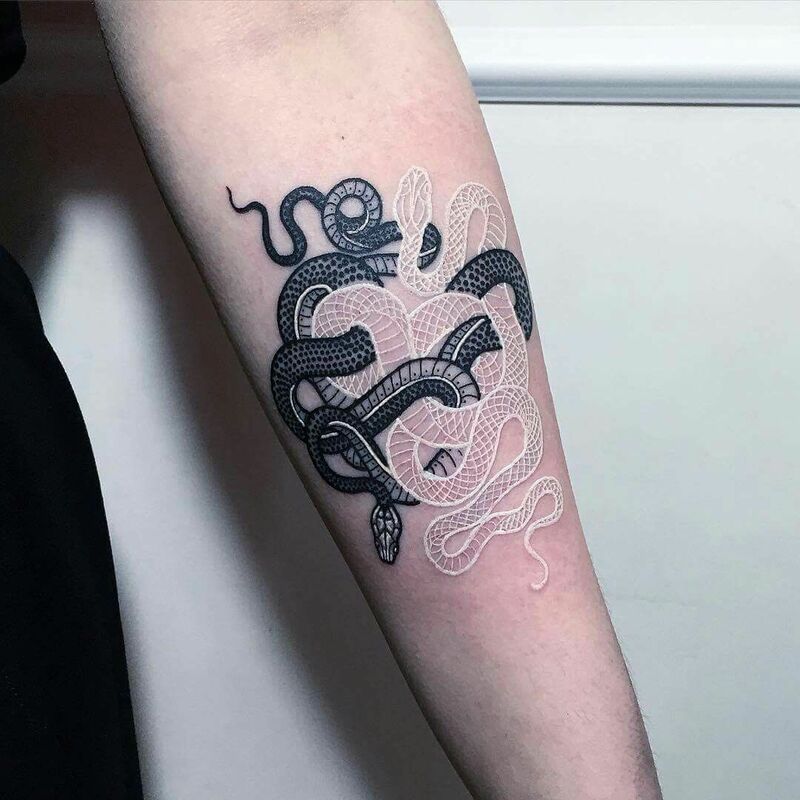 White snakes always look super badass, especially when intertwined with another snake completed with black ink. This is giving us serious girl with the dragon tattoo vibes. 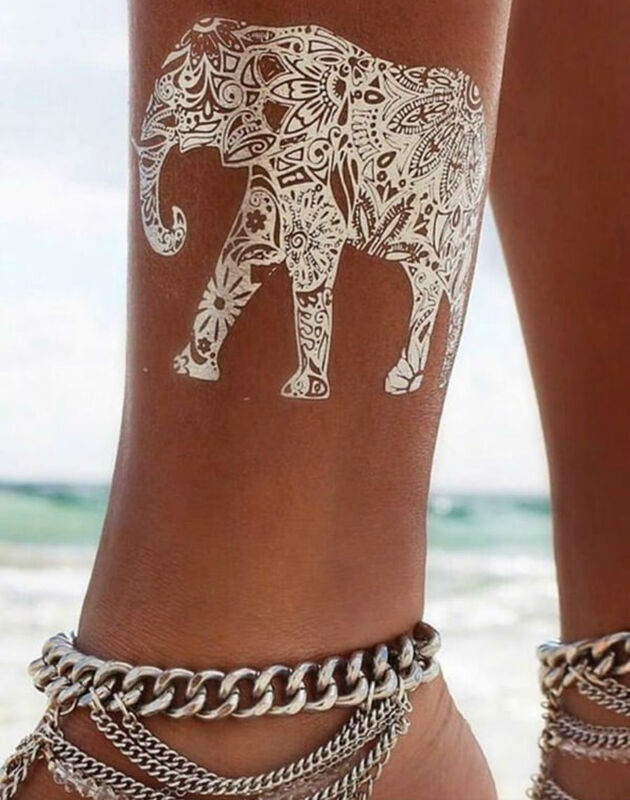 Elephants are for good luck – especially when they’re filled in with such gorgeous detail as this tat is. If you can find an artist with amazing attention to detail, this will definitely be a conversation starter for years to come. 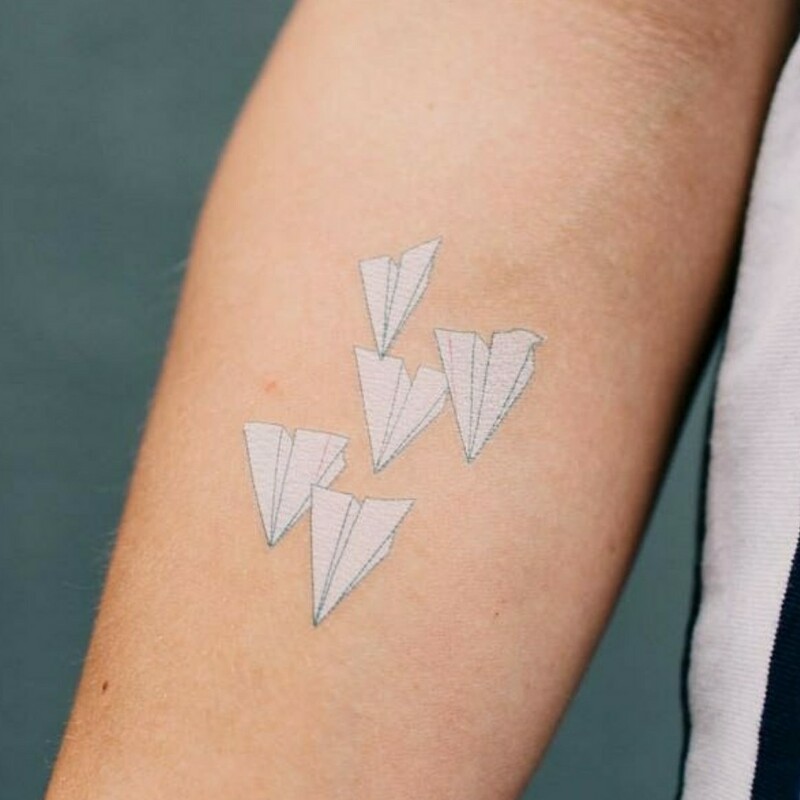 If you don’t take yourself too seriously, and like homages to childhood, this simple but playful paper plane tattoo might be the look for you. You can pick how many planes you want, and if you want them to create a shape. 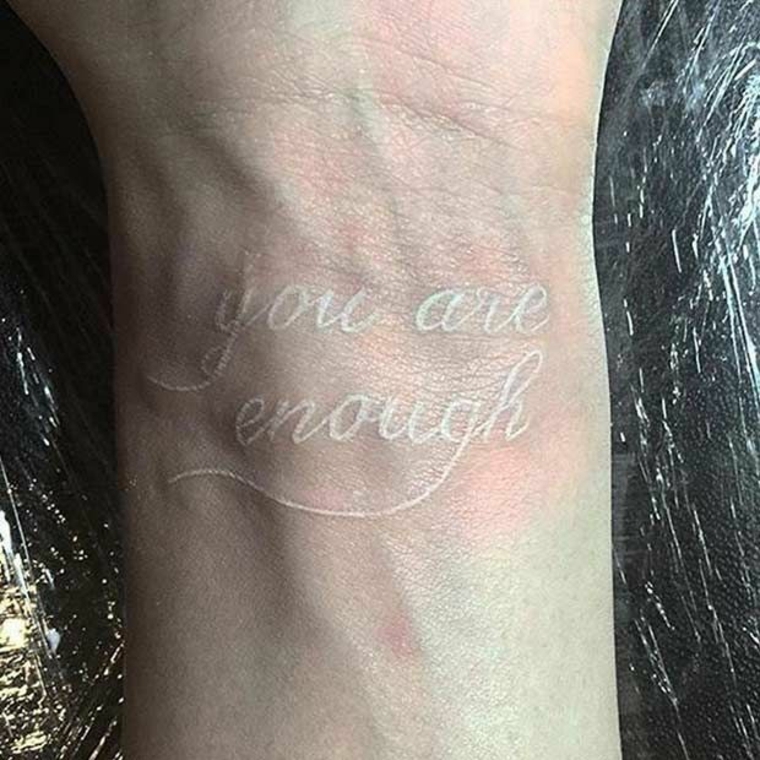 A quote on the inside of the wrist can sometimes look a bit intense in dark ink, but in white, it creates a subtle feeling of secrecy or mystery. This can be a tribute to yourself, a loved one, or a daily reminder. 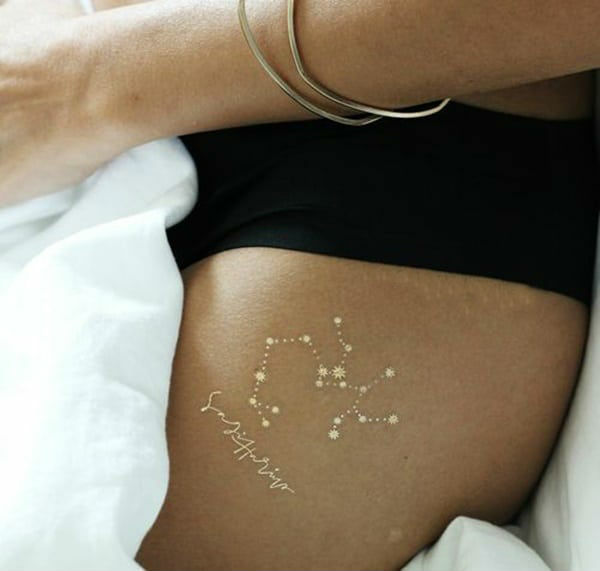 Constellation and astrology tattoos look great in white since they mimic the moon and stars more realistically. A popular choice for those in tune with the lunar cycles, the stars, or their spirituality. Choose a constellation that means something to you. The back of the neck is similar to the inside of the wrist in that it is easily hidden and can be very personal to the owner. 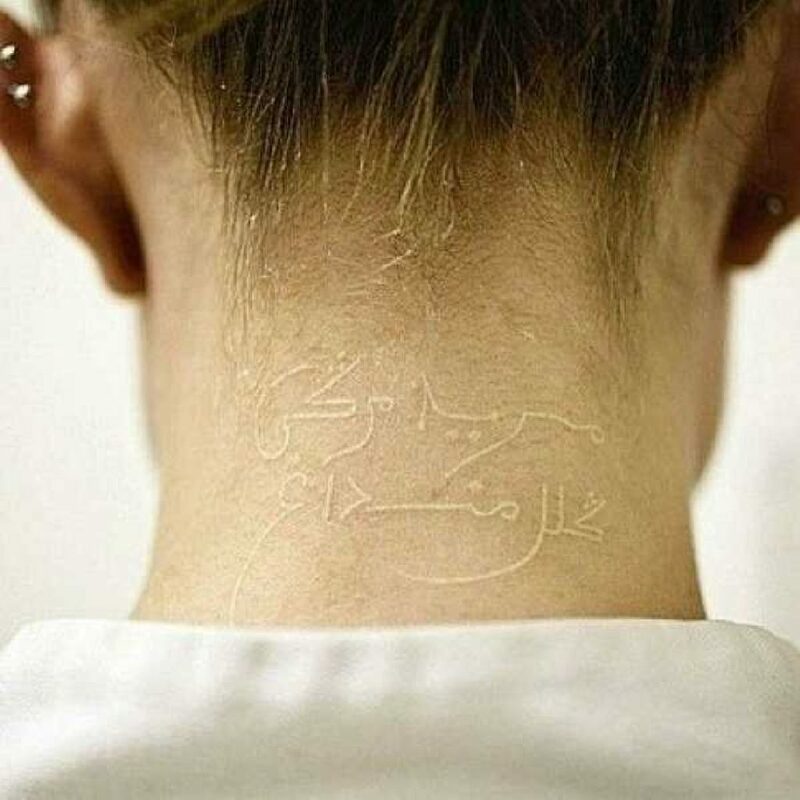 You can hide this tattoo with hair or a shirt, and when revealed, has a very cool, subtle look. 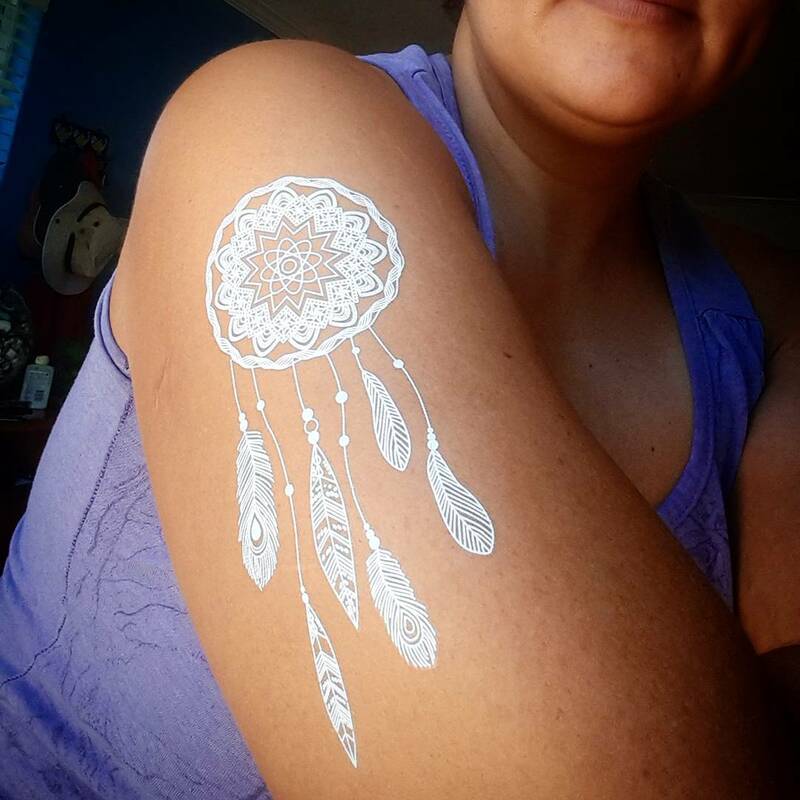 Dreamcatchers look pretty cool in person, and even more so in a white tattoo form. With the right feather detailing and look of integrated movement, you can rest assured that all your dreams will be sweet sailing from that moment on. A cross might be an interesting choice if you’re religious, but this can easily be swapped out for another tiny tattoo. A way better accessory than a ring (although you can also use this opportunity to tattoo a ring on your finger), this look is semi-visible and a flirty way to express yourself.